that is highly underrated and less used. 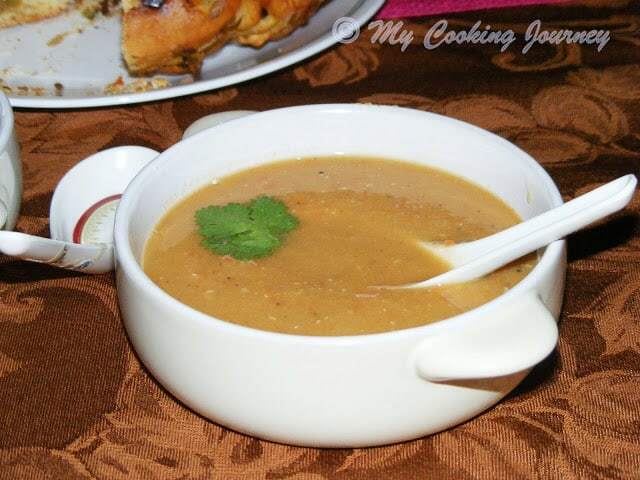 This Horse gram lentil subzi was made as a accident in my kitchen. I was planning on making kollu sundal and wanted to save the lentil cooked water to make rasam the next day. 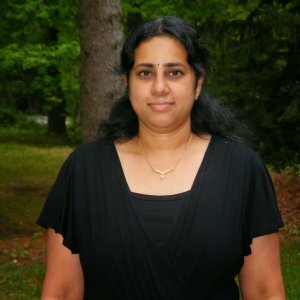 When I was reading about the lentil, I read that kollu takes much longer to cook. So I soaked it overnight and cooked it in the pressure cooker for about 5 or maybe 6 whistles. The kollu was cooked a little over and was not firm enough to make sundal. So I had to change my plans and make this subzi and I am so glad I actually made it. My boys loved this horse gram subzi and kept coming back for more. I am sure with sundal it would have been the same story. I am also very sad that I have never cooked with this amazing lentil before. It was so flavorful and I am so happy that I have one more lentil to add to my protein list. 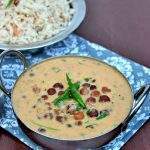 Horse gram or kollu is very beneficial apart from its protein content. The lentil is rich in many nutrients and contain high content of calcium, iron and phosphorous. It is very beneficial for weight loss and is effective in preventing formation of kidney stones. It overall helps in maintaining a healthy body and builds up stamina. 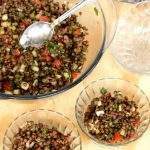 This lentil is very underrated and used very less. I just hope posts like these help in increasing its use. This lentil was predominantly grown to feed horses and cattle and hence gets its name from that. Because of its high nutrition value, it is fed to the horses and cattle to increase its performance. If you are looking further to read about this super lentil, take a look at this article. 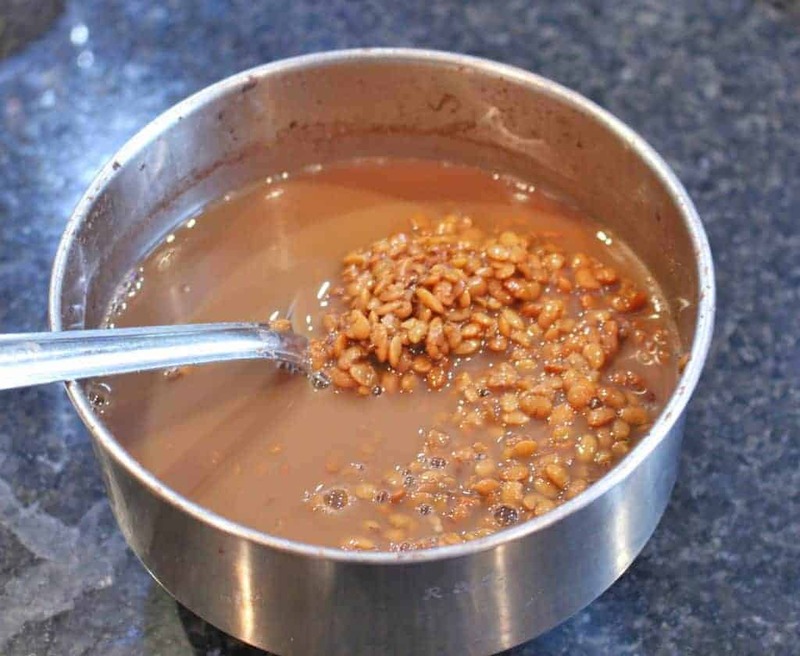 Wash the horse gram lentil well and soak it overnight. 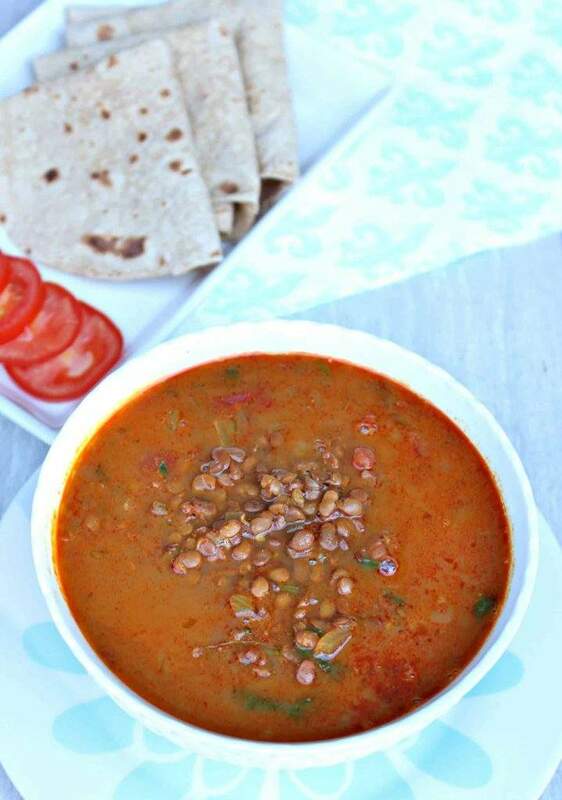 The horse gram lentil takes longer to cook and hence it is important to soak it for about 8 hours. Drain the soaking water and add fresh water to the lentils. Add enough water to immerse the lentils completely. Add salt needed for the lentils and cook it in pressure cooker for 5 to 6 whistles. The lentils would not be completely mush after they are cooked, but should be soft enough to easily smash them between your fingers. 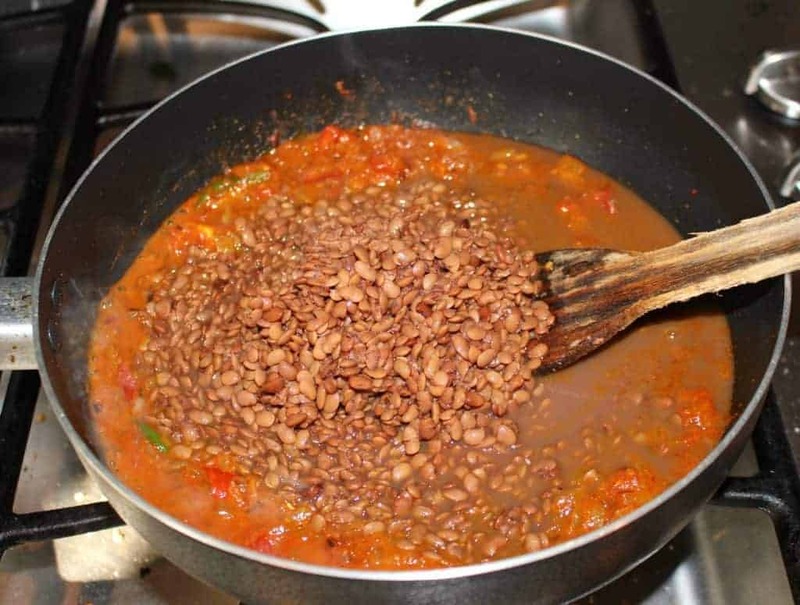 Do not drain the cooking water as it has all the health benefits of the lentil. We will use it with the cooking water in the subzi. In a pan, heat the butter / oil and add the cumin seeds. Let the seeds splutter and then add the chopped onions. Saute the onions for 3 to 4 minutes until they are soft and translucent. Add the green chilies and grated ginger and fry for about 30 seconds. Add the red chili powder, turmeric powder, dhania jeera powder, garam masala and just enough salt needed for the masala paste. 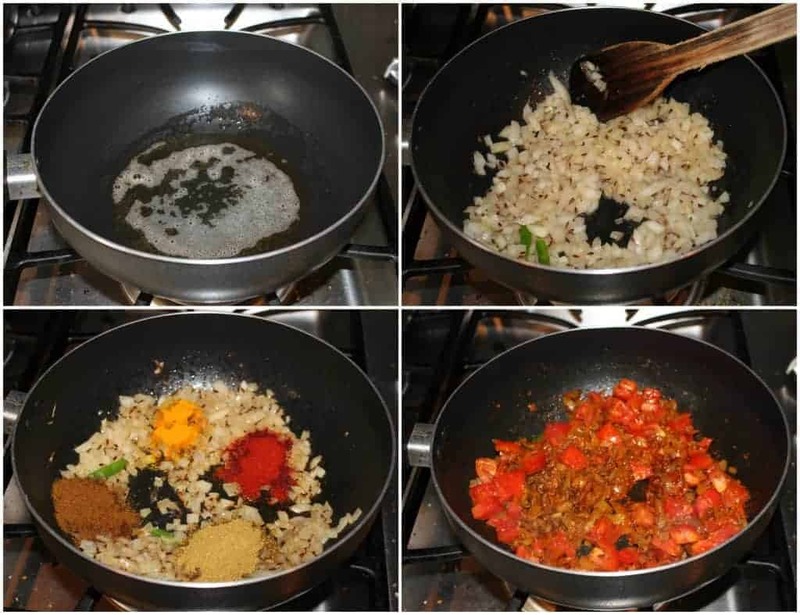 We already cooked the lentil with salt and hence be very careful when you add the salt. Mix well and then add the chopped tomatoes. Cook in medium heat until the tomatoes are cooked and mushy. Add the cooked horse gram along with the water and mix well. Adjust the consistency by adding more water if needed. Let the subzi simmer for about 10 minutes for the flavors to combine. 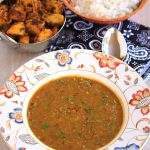 Garnish with cilantro and serve hot with roti or rice. hahaha..accident in cooking brings out the best!…I am surprised you haven’t cooked much with this one!..The Chaaru we make, tasts awesome..you must try..this subzi I am sure was so delicious! Awesome ! I am loving the recipe , it sounds just like the way I would love to eat , it is absolutely delicious ! Subzi looks great !! Glad the accident happened and you came up with this wonderful recipe. I have a pack of horse gram in my pantry. I bought it for ingredient swap and planned on using it for last month’s protein rich mega BM. Will try the subzi. 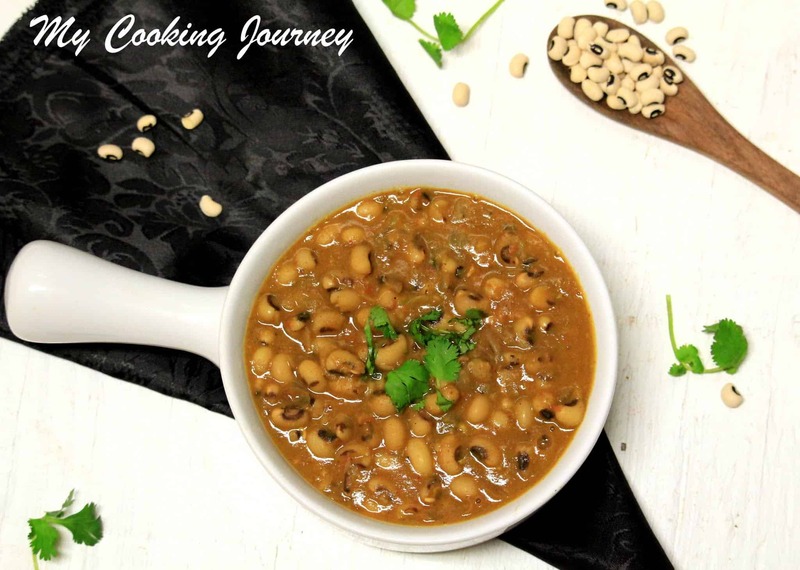 I’ve never cooked with horsegram and this looks like the perfect recipe to try. Looks yummy!! 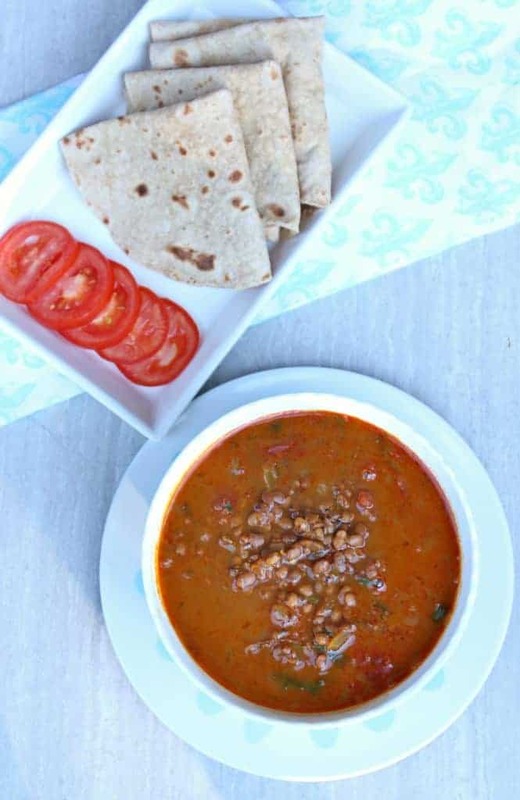 Excellent subzi, definitely a delicious and nutritious side dish for rotis. I totally agree with you that this lentil is totally under rated. But my MIL recommends this lentil for its medicinal value. Beautiful accident!! Never tried subji with kollu, looks awesome. Will give it a try on sometime,bookmarked it. 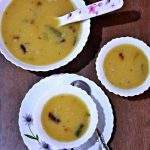 I make kollu rasam and this one looks delicious too. Kollu is such a healthy gram which has got less attention.. The Subzi looks sinful and yummy.. This looks and sounds delicious! I love lentils…it’s such a wonderful ingredient in winter dishes especially. Wish I had a bowl of this right now! I am in love with Indian food for the longest time I am Mexican and feel our cultures have so much in common in the use of the spices and flavors. I need a bowl of that lentil dish! Love it when happy accidents happen in the kitchen! This looks so flavorful – love all of the spices. What a pretty and hearty looking soup! Isn’t it funny how accidents sometimes turn into family favorite recipes?! Happens at my house more than I’d like to admit. Happy accidents in the kitchen are always a good thing. I’ve never used lentils before, but all the flavors in this sound so good. I still need to tackle lentils in my kitchen and this dish looks so flavorful and delish. I love cooking with lentils. This looks like the perfect bowl of goodness to warm you up on a cold winter day. 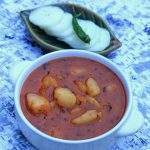 This horse gram sabzi looks quite delicious. Yes I have heard that horse gram are quite nutritious but have not cooked them so far. Accidental cooking brings out some of the best recipes. 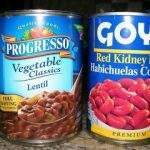 I’ve never heard of this type of lentil — we really love red lentils and we just had some the other night. I like the way these lentils retain their shape. I’ll be on the lookout for them. 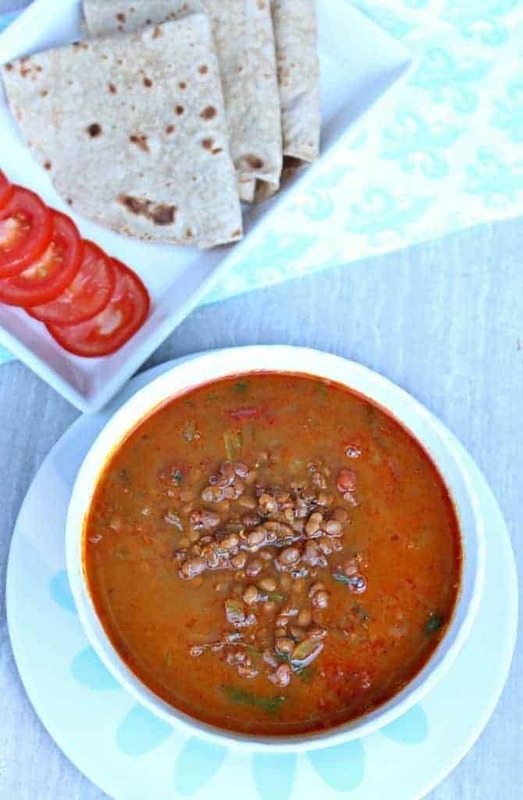 I’ve never heard of Horse gram lentil subzi before, but I love lentils and this looks amazing. It looks so full of flavor, and with all those ingredients, yum! Ah.. what co-incidence Sandhya I too made horse gram lentils today. I made it dal style. Love the color and spices you added to this – I can almost smell the spices. Next time I’m trying your recipe. 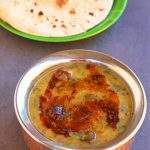 I cook dry curries with Horse gram like poriyal never thought of making it as semi-liquid curries that goes well with chapathi, I like your recipe I will give it a try. It’s always fun to cook a new dish on accident! I’ve never heard of horse gram before, but I’ll keep an eye out for it. i have a huge ziploc of soaked horsegram in my freezer, this subzi of yours reminded me of them! love horsegram subzi, such a delicious side to roti! wow very healthy subzi. Would be a treat with chapathis. What a coincidence. This is the exact same thing on our menu today. ? 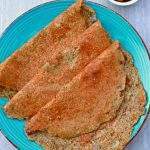 We can even make arachivitta kozhambu with kollu. Half the quantity of horsegram should be mashed well in place of dhal n used to make sambar. It works as a detoxifier too.